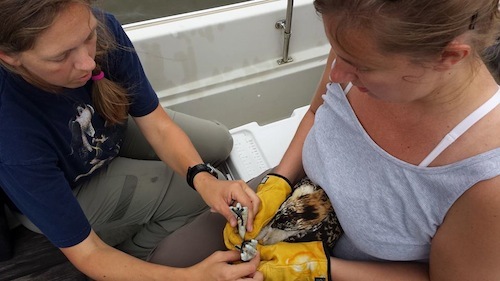 The Center for Conservation Biology's Libby Mojica runs OspreyWatch, a citizen scientist application for monitoring osprey around the globe. She uses the Appygram Traces feature, currently in beta, to monitor exceptions in her application, which was built with Ruby on Rails. 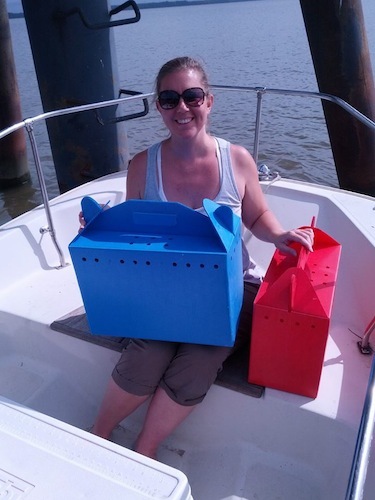 Libby is a research biologist who enjoys spending time with software developers (go figure!) when she's not focusing on raptors. She's a great example of a non-developer Appygram user: an owner of a software application with a non-technical job who has an interest in and aptitude for learning about and understanding technology, and who wants to be responsive to her users when they have issues. Earlier this month Libby turned the tables on us and took us out into her world. 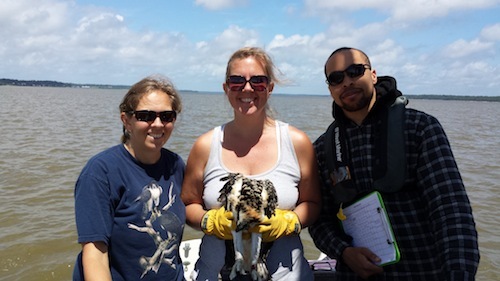 We spent the day on the James River, monitoring nests and banding young osprey. 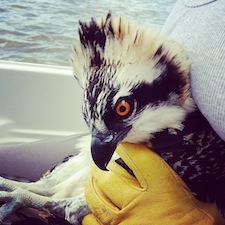 It was an amazing opportunity to spend some time with an Appygram user, learn more about the importance of osprey (biggest lesson: osprey only eat fish, so if there are a lot of osprey, the river is healthy), and truly understand why she wants her community of watchers to have a good experience when entering their data into OspreyWatch. Monitoring exceptions and knowing just who is having problems makes it possible for her to reach out directly to her users and also work with our team to ensure it doesn't happen again. 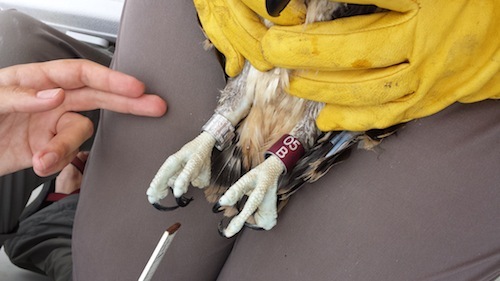 The mission of OspreyWatch is an important one: "to collect information on a large enough spatial scale to be useful in addressing three of the most pressing issues facing aquatic ecosystems including global climate change, depletion of fish stocks, and environmental contaminants." We're honored to assist in that mission. Here are a few pictures from our day for your enjoyment! Huge thanks to Libby for turning us into osprey watchers!! It's addictive: we dare you to spend any time near a river or the ocean and not spot these beautiful birds and their nests. 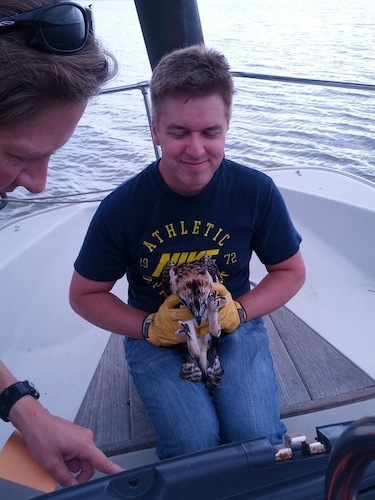 But don't get too close; you have to have permission from the authorities to do this! Alison, holding two osprey the easy way! 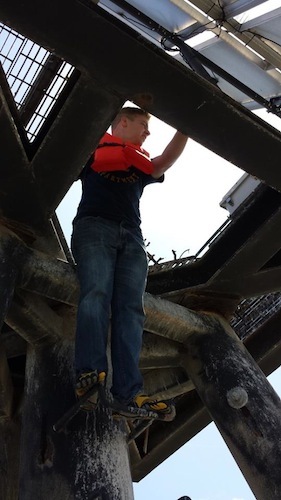 Rob climbing up to check out an osprey nest. 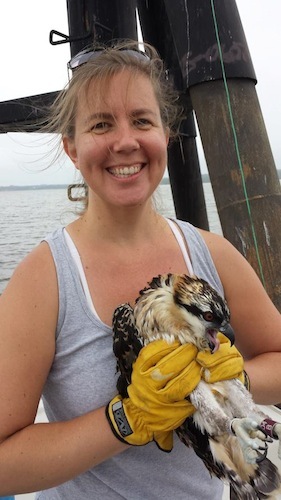 Alison became the team expert at holding osprey.